What would a blue summer sky be without the organic contrast of some white clouds? 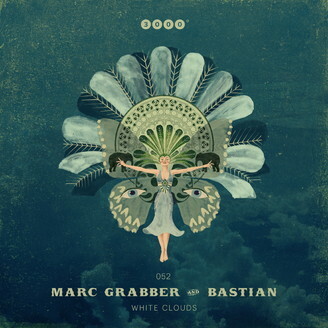 The track White Clouds by Marc Grabber & Bastian adds a dash of highly danceable texture to the firmament of the electronic soundscape. Its floating melodies are just as weightless and fluffy as those structures up there. However, the intricate, tribalistic rhythm section adds a powerful dose of down-to-earth push to this tune. There's also two remixes: René Bourgeois uses his thundering claps and whipping hit hats to turn White Clouds into a dramatic storm cloud formation, whereas Mollono.Bass sheds the mellow light of a sunset onto White Clouds using a flowing sub-bass line and an ornate, highly musical arrangement.